As Bears players and reporters gathered at Halas Hall Monday following the team's disappointing loss against the Eagles, there was an unusual smell in the air. The stench was described by those at the facility as "wretched," "totally nasty" and "awful." "There's a wretched stentch throughout Halas Hall this afternoon," Chicago Tribune reporter Rich Campbell tweeted. "I mean, totally nasty." 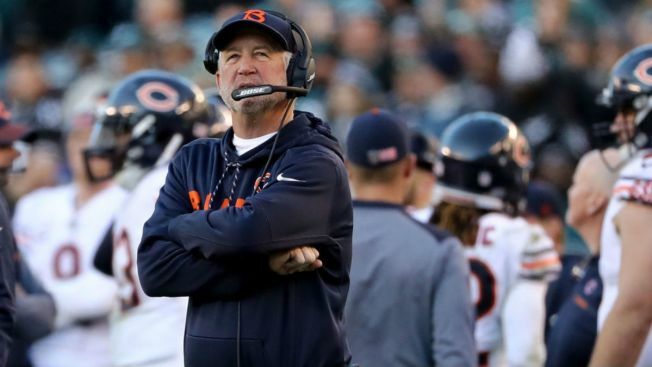 Both Campbell and Sun-Times reporter Adam Jahns noted that Bears coach John Fox indicated the smell may have been caused by leftover sushi that wasn't disposed of properly. "Apparently sushi was served here late last week & no one disposed of it properly over the holiday weekend," Campbell wrote. "HC John Fox said he thinks the smell is, indeed, the sushi. Yuck." There's a wretched stench throughout Halas Hall this afternoon. I mean, totally nasty. Apparently sushi was served here late last week & no one disposed of it properly over the holiday weekend. HC John Fox said he thinks the smell is, indeed, the sushi. Yuck. There is an awful smell in Halas Hall. Not figuratively, literally. It's bad. #Bears coach John Fox said he thinks it's leftover sushi. To make matters worse, the team's plane also reportedly had troubles on the tarmac, delaying their return home.